MUSE has over 100 raised garden beds constructed with reclaimed materials. Students choose the plant varieties they want to grow, then sow, tend, and harvest produce for the MUSE Kitchen and MUSE’s community restaurant partners. 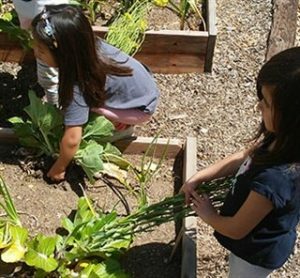 Gardening opportunities range from one-on-one projects with the Seed-to-Table Director and the Garden Educator to group projects involving several students and members of the community.